Is 'dining experience' the emerging investment interest? With many venture capitalists taking the restaurant-chain route, it seems to be that way. But experts say it is better to keep a watch for possible pitfalls. 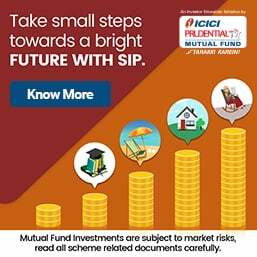 The latest investment in the sector comes from Chennai-based TVS Shriram Growth Fund, which has gone on to invest an undisclosed amount in Indian Cookery Private Limited (ICPL), the restaurant business promoted by chef Sanjeev Kapoor & Better Value Brands. This is TVS Shriram's second deal in less than three months, the first being an investment of Rs50 crore in Om Pizzas & Eats Private Limited, which is the franchisee of the international chain of Papa John's Pizza, Chili's Grill & Bar and The Great Kabab Factory. "The optimism among investors is because of the success of Jubiliant Foodworks, the franchisee for Dominos Pizza," said an analyst from Angel Broking Services. Moreover, there is a growing demand among Indian customers for fine dining restaurants and gourmet food. Incidence of eating out among them is also increasing. No wonder, investors are viewing the restaurant industry as a viable place to be. Last year, the Kotak Mahindra Capital-backed Jubiliant Foodworks' IPO (initial public offering) was a runaway success. Jubiliant Foodworks' scrip has gone up from Rs229 in February last year to Rs545.95 this year, marking a 138% increase. This offering was followed by talks of an upcoming IPO worth Rs200 crore for Speciality Restaurants that owns Mainland China and the Oh!Calcutta chain. However, some experts say that Jubiliant, and for that matter, other pizza franchisees could succeed because these outlets are mainly takeaway facilities. Takeaway restaurants are classified as a different category by Eurometer International. Unlike full service restaurants, they have minimal investments in real estate, provisions, staff and also low wastage. Restaurants, on the other hand, suffer more because they have to keep more perishable items in store. Real-estate management becomes an issue in case of expansion. Many hoteliers agree that getting a viable location, especially in a busy city, is not a piece of cake. The other high-profile investments have been that of Helion Venture Partners in Mast Kalandar, an Indian 'quick-serve restaurant' (QSR) chain in October 2010, and Hong Kong based Saif Partners increasing their stake from 12% to 20% in Speciality Restaurant. Matrix Partners invested in Yo! China, while Accel Partners invested in Kaati Zone, a Bengaluru-based quick service restaurant chain. The market is abuzz about Indian Equity Partners investing some $100 million in BJN Group and Sagar Ratna. According to National Restaurant Association of India (NRAI), investors are now serious about the potential of the restaurant market. It is said that the Rs43,000 crore restaurant industry is growing at 5% per annum, and of this, only 20% is the organised sector, which is growing at an incredible 20%-25% annually. According to Eurometer International's 'Consumer Food Service in India 2010' report, the chain restaurant industry was valued at some Rs72,624 crore in 2010, and will go up to Rs88,107 crore in 2011-2012. And these new investments are apparently helping these restaurant chains strengthen their presence and aid their expansion. Mainland China already has a strong presence in India with 74 outlets, and plans to open 100 outlets by 2011-end. Like ICPL, Mainland China wants to go to places like the Middle East, Sri Lanka and the United Kingdom (London). These investments also provide them with the required logistical support and realty spaces. The promoter of Speciality Restaurants, Anjan Chatterjee, had admitted earlier that lack of logistical support had hindered his plans of expanding the Oh!Calcutta chain. However, there is also the danger of a bubble being created. The number of QSRs, some reports claim, is increasing by 30%-35% annually. "If that is the situation, and if the restaurant euphoria gets too high, we will have a problem," said the analyst quoted earlier. "While the restaurant sector looks promising, it is too soon to gauge the benefits. Moreover, there are many chains, but not necessarily all have been successful. It is especially true for lesser-known brands or those which do not have a pan-India appeal. And it is important to have a distinct identity and consistency in what they offer-both in culinary matters and otherwise. We see a lot of overlap in that respect," added the analyst. Moreover, niche restaurants require skilled staff: both in the kitchen and in service. Lastly, with the vast palette before them, customers are more inclined to experiment with different cuisines and different kinds of restaurants, and there are fewer chances of them sticking to one particular brand. So let us wait and see how the buffet turns out to be. Cement producers may face a tough time in the next fiscal due to soaring input costs and a surplus in supply, amid weak demand. "We expect additional cement capacities of around 70 million tonnes (MT) to come on stream in the next financial year. However, demand growth has been lagging," according to CRISIL, a ratings & research agency. "Demand spiked by only 4%-5% during the nine months ended December 2010, as compared with around 10%-11% during the same period of the previous year," added the agency. Industry experts say that due to the imbalance in the demand-supply situation, prices of cement are likely to remain subdued over the long term. Currently, prices of cement are around Rs270 per bag for 'A' grade cement players-and around Rs265 per bag for lower grade manufacturers. "Demand is likely to grow by 10%, while (the) production rate would be 12%. Until there is considerable demand from the construction and infrastructure sectors, demand will be behind production, and that may create pressure on cement companies," an analyst from a research firm told Moneylife, preferring anonymity. According to Fitch, a rating agency, the country's demand-supply mismatch may go up to 107.70MT in FY2011-12. A weak performance of the construction sector during the third quarter depressed demand for cement. The prolonged monsoon put many construction projects on hold, while the execution of a few projects were badly impacted due to delays in acquiring land and obtaining approvals and clearances. The Reserve Bank of India's move to increase interest rates is also slowing down fresh projects in the market. However, experts also feel that prices will remain firm until the seasonal demand peaks till April. "Prices will not come down until April, as there is seasonal demand. The government has set its target to spend money by the end of March; so historically, there is always a peak period till April," Ravi Sodah, an analyst with Elara Securities (India) Private Limited, told Moneylife. The country' second largest cement producer ACC reported a 31% drop in consolidated profit to Rs10.78 billion in 2010 because of falling selling prices and high input & power costs. Consolidated sales came down by 2.6% to Rs82.60 billion. Ambuja Cements' net profit inched up by 4% to Rs12.60 billion in 2010 from Rs12.20 billion in 2009. Net sales grew by 4% to Rs73.90 billion. India largest cement producer, UltraTech Cement, saw its net profit plunge by 36% in the October-December quarter. CRISIL has also said that as capacity additions will exceed incremental demand, operating rates are expected to remain below 80% over the next few quarters, resulting in reduced flexibility to raise prices. It will also impair the ability of producers to pass on input costs to customers. This has been a rising trend. However, Mr Sodah added, "Prices will depend on how cement players are able to manage the surplus. The southern part of the country holds higher surplus. But cement producers across India have been able to maintain some kind of production discipline." "Prices should come under pressure in this situation, according to fundamentals, but due to better production discipline, cement producers are managing to hold prices. In case this discipline is broken, then we will see a large fall in prices," added Mr Sodah. However, soaring input costs and weak demand might dent the margins of cement producers. ACC has said in a recent press release, "The company sees that demand for cement is likely to grow in the coming year at 9%-10%. However, some bottlenecks faced by the industry such as regular supply of major inputs like coal, slag, power and rail transport are likely to continue. We also expect that the pressure on selling prices will be maintained in the near term." After the spiralling onion prices that made the 'aam aadmi' weep, now it's the turn of milk prices to make them cry. The Maharashtra government has increased milk procurement prices by Rs2 per litre for cow milk and Rs2.5 per litre for buffalo milk. This hike will also have a direct impact on the prices of milk products-mostly curd (yoghurt), paneer (cottage cheese) and shrikhand. 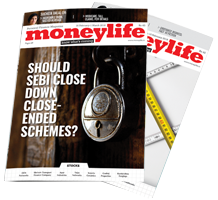 B Bhandari, general manager (marketing), Warana Dairy, told Moneylife that there would be a rise in the prices of milk products like paneer and shrikhand as the production cost of these products will go up. Another official from a leading Mumbai-based milk dairy said (preferring anonymity), "Because of the rise in milk prices, there could be an increase in the prices of milk products. We will be thinking on that line (hiking prices)." The decision to increase milk-procurement prices has been taken as the cost of milk production has increased, due to rise in fodder and labour charges. Vinayak Patil, chairman of Mahananda Dairy, explained why milk prices are going up. "The milk procurement price has increased, as the cost of milk production has gone up. This is mainly because of the rise in the cost of fodder and labour. The production of milk has also come down due to the inclement weather. As milk procurement prices have increased, we have had to hike milk prices." Following the government's decision, major milk dairies in Maharashtra have hiked the prices in the range of Rs1-Rs3 per litre, depending on the type of milk. Dairies like Warana and Gokul have hiked their prices by Rs2 per litre (for cow milk) and Rs3 per litre (for buffalo milk). Mahananda Dairy, one of the state's leading milk cooperatives, has decided to increase prices by Rs1 per litre on both types of milk. Interestingly, market leader Amul-owned by Gujarat Cooperative Milk Marketing Federation (GCMMF)-which had earlier refused hike prices, has also decided to join the trend. Amul has increased prices by Rs1 per litre for its milk brand Amul 'Taaza' and Amul 'Lite Slim' and 'Trim Milk'. According to R S Sodhi, chief general manager, Amul, "Earlier we did not agree to the decision of increasing milk prices by Rs2- Rs3. Now, we have increased the prices by Rs1 per litre for Amul Taaza and Amul Slim and Trim." However, Mr Sodhi ruled out any possibility of rise in other milk products by Amul. Meanwhile, the Karnataka government permitted the Karnataka Milk Federation to increase the price of milk. Accordingly the milk prices in the state have gone up by Rs2 per litre.